Eleven artists reflect on the role of the Van Loon family in the Dutch East India Company. 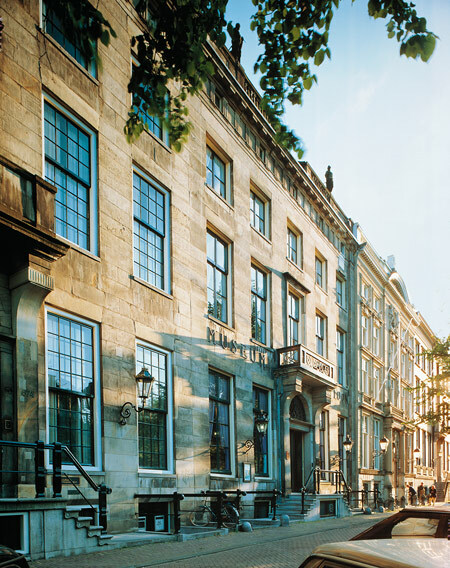 Museum Van Loon, Amsterdam; curator: Thomas Berghuis. Suspended Histories has as departure point the relationship between the Van Loon family with the Dutch East India Company (VOC) in the seventeenth and eighteenth century. Willem van Loon was co-founder of the VOC in 1602 and for numerous generations many members of the family held high positions within the company. For this exhibition the museum has invited guest curator Thomas Berghuis, who is a researcher and specialist of Asian art and recently appointed Robert H. N. Ho Family Foundation Curator of Chinese Art at the Solomon R. Guggenheim Museum in New York. His expertise lies in contemporary Asian art, Asian modernities and post-colonial conditions of art and culture in relation to Asia, and the world. The title Suspended Histories indicates that history is a dynamic process and that it’s not passive or static. History is never finished, but is, you might say, continuously 'postponed', or rather ‘suspended’ - in time and in space. The way history finds it’s form, the way it is being analyzed and judged, depends on contemporary discourse. History is 'suspended’ in the discourse about the past in the present. Never completed and constantly evolving history is the starting point for the exhibition. The exhibition is not an attempt to rewrite general state history in a contemporary way but to expose personal histories, and possible new connections between them. Artists are therefore invited to investigate the museum collection and its historical context, in relation to the past, including their own. In what ways does history live on and how can it be visualised in relation to the museum and to their own existence and background? What if history lies suspended? This became the ultimate question Berghuis posed in his curatorial concept. The exhibition Suspended Histories presents a multiplicity of unique artists’ responses to reactivating suspended histories. Especially where they now connect significant collections of art and colonial into postcolonial history to responses by contemporary artists. Suspended Histories follows the proposal to rethink art through art history and history through art. Located in the house of the Loon family it connects contemporary art and artists to the suspension and suspense of colonial history into the post-colonial world; reactivating a multiplicity of suspended histories in relation to the history of the Van Loon family. Suspended Histories takes a direct and effective proposition of an artist into a proposition for an exhibition marking the causation of the grand narrative of history; of being part of history and processes of history making. The points of departure are the multiple reflections by artists from across the Asia-Pacific and The Netherlands to regions that the Dutch travelled in their search for the ‘riches of the East’. Rather than asking artists to critique the grand narratives of colonial history (written and performed largely by men and therefore a highly paternalistic and patriarchal history) artists were invited to reflect on the history of the actual Van Loon family and their home, now a museum. The history of the Van Loon family in many ways becomes a matriarchal and maternalistic history - a historicality that is capable of linking the grand narrative of the colonial past suspended on the walls and ceilings of the Museum Van Loon to a multiplicity of direct responses by contemporary artists from across the globe in reactivating the suspense and suspension of multiple histories suspended inside the house and its collections.